Guangzhou Seal Automotive Technology Co. Ltd is specialized in car model design & car model manufacturing. It was established in 2012 and located in beautiful Guangzhou Baiyun Airport Economic Zone. Company's predecessor is Guangzhou Seal Laser Rapid Prototype Co., Ltd (established in year 2003) which is a high-tech enterprise registering in Guangzhou Tianhe Software Park, and engaged in Automotive RP industry at the earlist in China. With 14 years' development, SEAL Group has collected a number of professional engineers and technicians who are specialized in car modeling and model manufacture, and made great contributions to Chinese auto industry development. Entering the 21st century, Automotive technologies of design and manufacture have been mostly transferred to China. Guangzhou Seal Automotive Technology Co. Ltd, adhering to the value of Chinese auto industry development and being led by board of directors, has increased great measures to accelerate the development of talent and investment. We have imported 5 axis CNC gantry machining center from Italy, more than 40 CNC machines from Guangzhou Cutting Company, 12 SLA machines from Japanese CMET Company and etc. ALL of these have made great breakthroughs to the development of traditional RP (like door trim panel, main & assistant dashboard, ABC pillar) and technology of car modeling & model manufacture. Now we have customers throughout the country, for example, Great Wall, BAIC, GAC, LIFAN and some other famous automotive engineering research institutes. In foreign countries, our R&D technology has been recognized by SST Company in Japan, with which we have made an AGREEMENT OF EXCLUSIVE SELLING AGENT successfully, and achieves a seamless joint for Japanese automotive RP market. “Diligence is the path to the mountain of books, and hardwork is the boat to the ocean of technology”. As a professional company specializing in modeling, model manufacture and RP technology, Seal deeply understands that business is like sailing against the current: either you keep forging ahead or you keep falling behind. 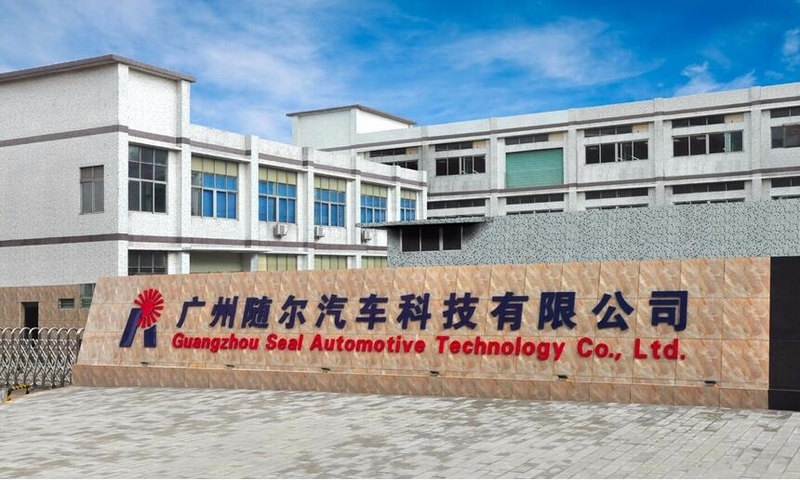 Guangzhou Seal Automotive Technology Co. has to scale new heights of automotive technology and offer best service to customers in R&D of automotive industry.